Order in the next 3 hours, 58 minutes and 21 seconds for same day shipping. A convenient pocket-sized self-inking rubber stamp. Small and light, it is easy to carry with you to business engagements. Printy 46019 is ideal for creating impressions custom logo/images or text on loyalty cards. Impressions that are produced by the 46019 are circular, with a 3/4" diameter, allowing a maximum of 4 lines of text. It is equipped with an ejection button for replacing the ink cartridge 6/46019, which is available in 5 different colours: black, blue, red, green and violet. 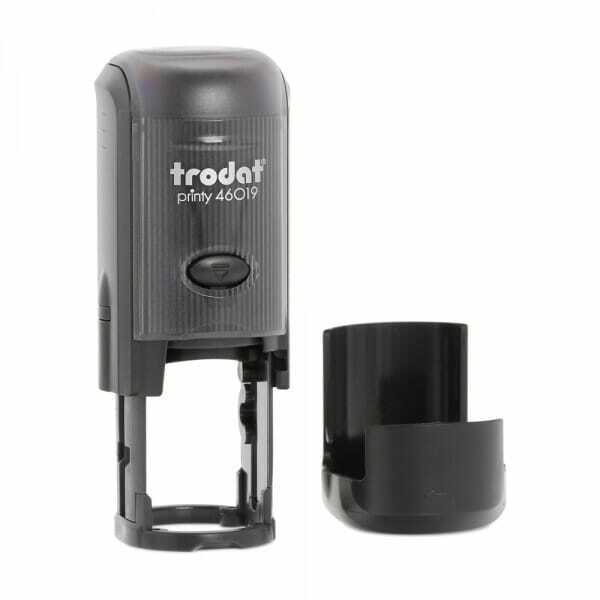 Customer evaluation for "Trodat Printy 46019 3/4" diam. - 4 lines"